Save on Guns, Gear, Gift Cards and MORE! BudsGunShop.com and eGunner.com proudly continue their partnership with the NRA Firearms for Freedom program to help defend our 2A rights! 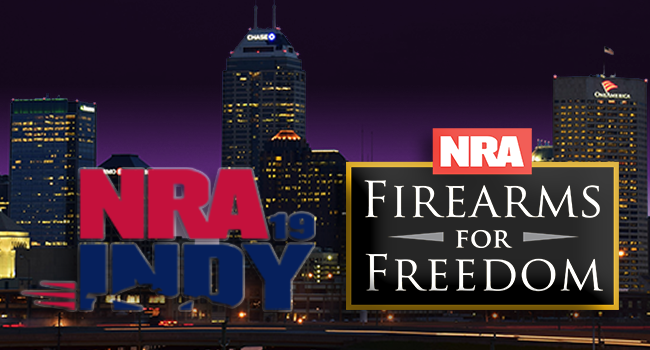 If you're attending the NRA Annual Meeting in Indianapolis this year stop by the NRA Firearms for Freedom booth to learn more about the program, the important work they do, and how you may be able to contribute. Cliff, Keith, and Dan will be at the booth with information about the NRA Firearms for Freedom program and how you can bid on the LIVE gun auctions from antiques & collectibles to modern firearms! Auction proceeds support our Second Amendment rights! Check out this sampling of our current auctions or follow the link at the bottom of the page to see the entire list of over 200 live auctions, including pistols, revolvers, rifles, shotguns, and accessories. Distributed by eGunner.com, 1105 Industry Rd, Lexington KY 40505.